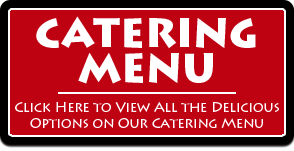 Take control of your catering experience! Let each person control what they eat! 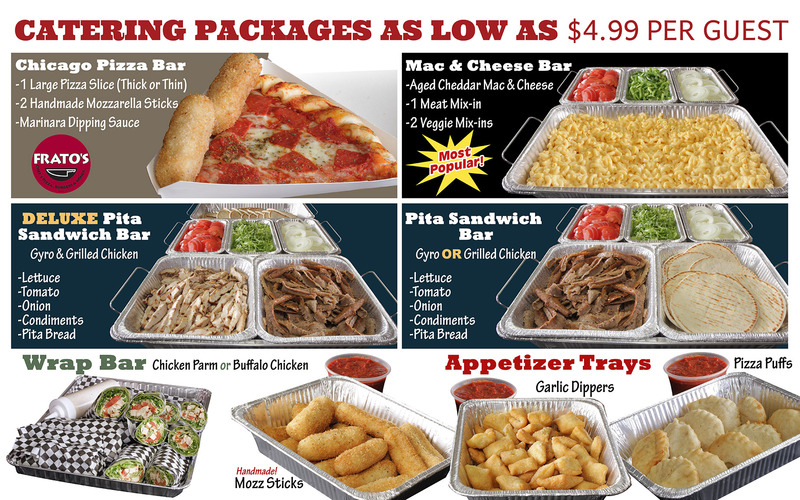 Order Online Here or Inquire Here with a super fast response rate! Frato’s Aged Cheddar Mac & Cheese Bar with Premium Wisconsin Cheeses! Per person package comes with a Choice of Idaho Russet Baked Potato & Sour Cream or Chef’s Tri-Colored Pasta Salad! Mac & Cheese Bar: Wisconsin Aged Cheddar Cheese + Delicious Macaroni + Tender Handcut Meats + All types of Veggies from Tomato to Hot Giardiniera on the side to choose from! The best part is, it’s made by REAL COOKS! 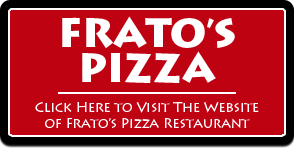 Frato’s does not use commercialized equipment and most items are made fresh, in-house by a Chef-trained team of Culinary Experts! We’re an independent Pizzeria, so our job is to truly make you happy with the quality of our food and incredible customer service! 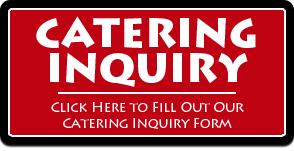 WE SPECIALIZE IN ACCOMMODATING MOST ANY TYPE OF SPECIAL DIETARY REQUEST FOR YOUR LARGE CATERING EVENT! (GLUTEN FREE, VEGAN, HALAL, NON-DAIRY, ETC…)! Only 6.99 per person, minimum 10 to order, comes with FREE local delivery & setup! Plus, it comes with an Amazing Catering Loyalty Program! We have it all, a one-stop shop! New Customer? 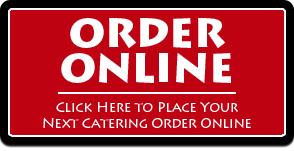 Get a FREE Gift Card with your Catering Order! Watch the Video Below! Real Cooks, Real Food!